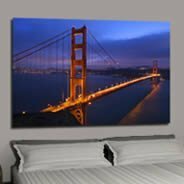 Dezign With a Z digital art wall canvas gallery offers a large range of beautiful Artist Paintings, modern canvas, contemporary photo portraits. 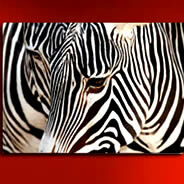 Our paintings are high quality printed pictures on canvas, set on quality pine wood frames. 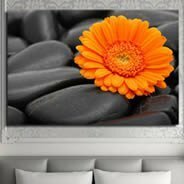 Digital canvas have been a décor trend for a while now. 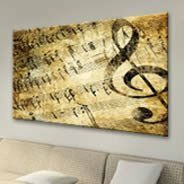 They are ideal for those seeking an upscale yet affordable way to decorate their spaces. 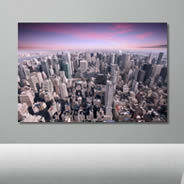 Easy to hang, each one of these high quality prints has been designed to compliment your room with grace and elegance. 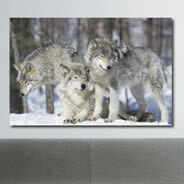 Our collection of wall canvases have been divided into 3 categories: Modern, Nature and Home. 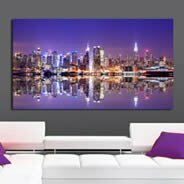 In the Modern section you will find city skylines like New York, London’s tower bridge or the beautiful Rio de Janeiro; you will also find abstract images such as the Red Cells, the Bubble Blue or the Energy wall art canvas. 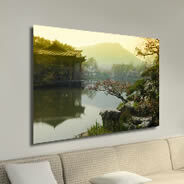 Browse through the Nature collection to find Asian themed photo on canvas including our Stone and Flowers or our Zen Tea which will look gorgeous in a master bedroom or even a relaxing spa setting; there you’ll also find a variety of floral photography like Cherry blossoms, Poppies and Chrysalides; lastly, make a big and bold impression with our outdoor scenes ranging from our Mountain Lake, Flowers at Sunset, Spring or Fall Birch Trees and Wave, to wild animals like the Zebras, Frogs, Penguins and giraffes displayed in the Savannah photo printed on canvas. 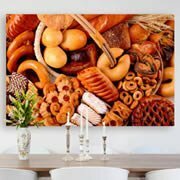 As for our Home compilation, there you’ll find mouth-watering pictures like Apples, Tomato, Kiwi, Coffee Beans, Gummy Bears, Pasta Party and Bread Basket digital painting on canvas; in that section there also are several urban characters like the colorful Yo Mona! 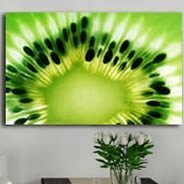 and the beautiful Amazing Fairy. 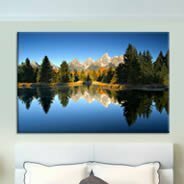 Dezign With a Z’s wall canvas is the perfect combination of high resolution photography giclee prints framed with heavy duty pine stretcher bars. 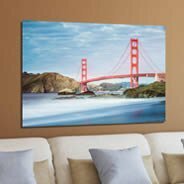 Quality is a must, that is the reason why each one of our canvases are printed and assembled in our facility in San Francisco. 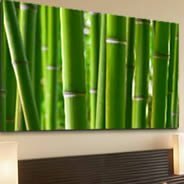 We have 2 types of framing available: 3D Classic (2.5" deep), also called gallery wrap, that stands out from the wall for a very nice contemporary gallery look and Flat frame (1" deep), for a thin slick aspect. 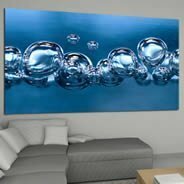 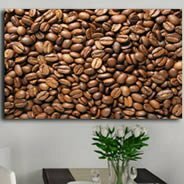 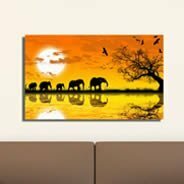 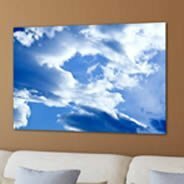 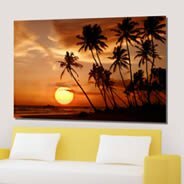 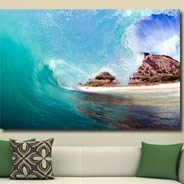 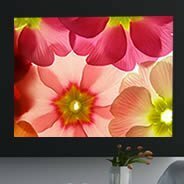 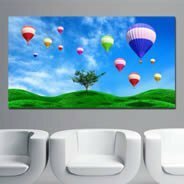 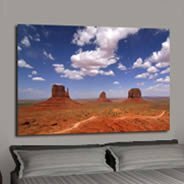 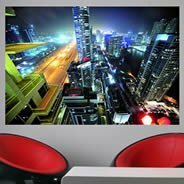 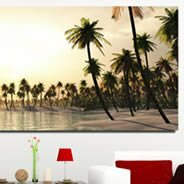 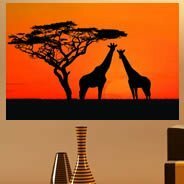 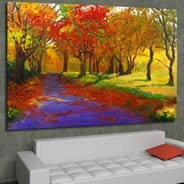 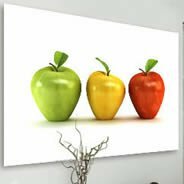 If you can’t find a wall canvas that appeal to you in our collection or perhaps you just want something unique and more personal, we can also customize a wall canvas print with any photograph of your choice. 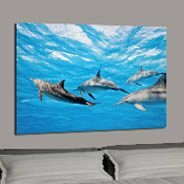 You can have your wedding photo, vacation picture, images of your pets and even your kid’s art work printed on a canvas. 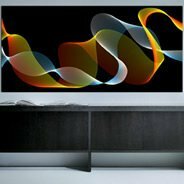 It will be very special and at the same time it will look like a real piece of art. 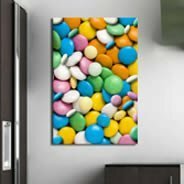 Start exploring our custom canvas choices now - and let light, color and contrast be a part of your day and decoration as well!